Wowie! Have I got a killer post for ya'll! 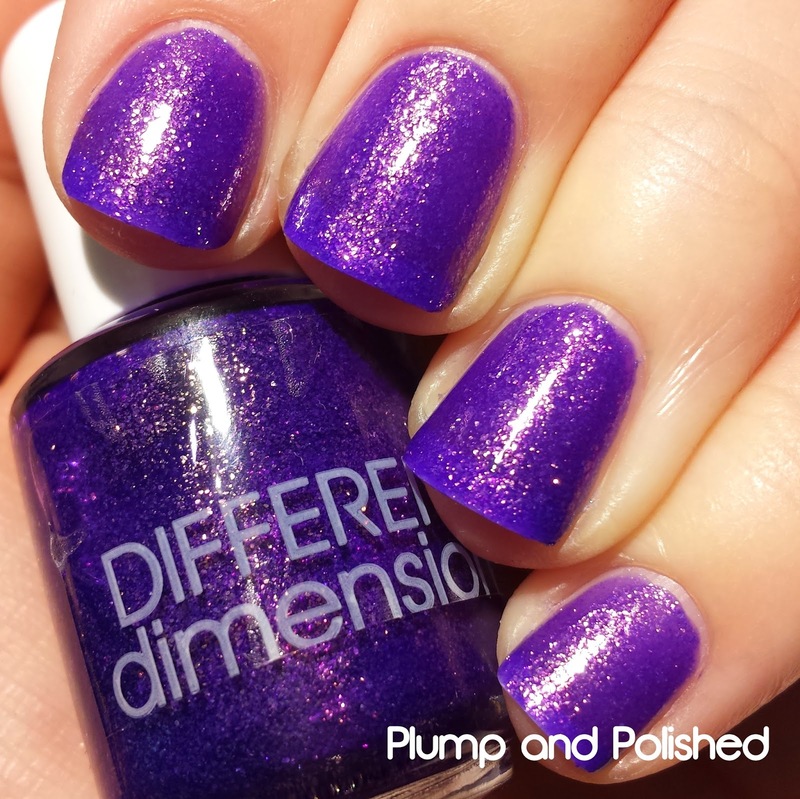 Missi, the mad genius behind Different Dimension, has outdone herself once again with this gigantic intergalactic collection. 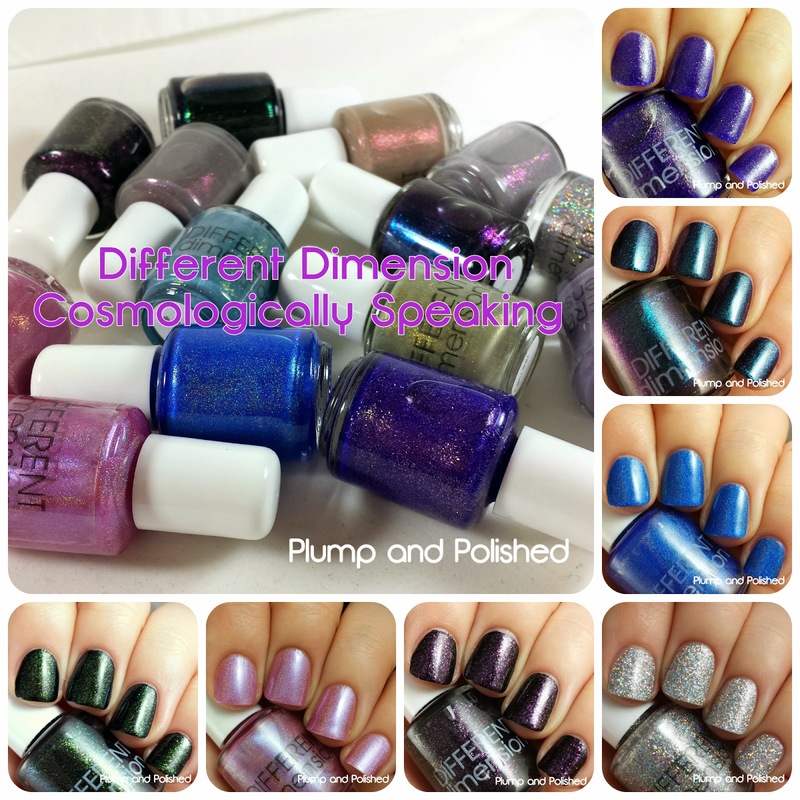 Cosmologically Speaking is an epic set of 14 polishes inspired by the cosmos. Because of the size of this collection, I'll be doing two parts. You can find the second half here! 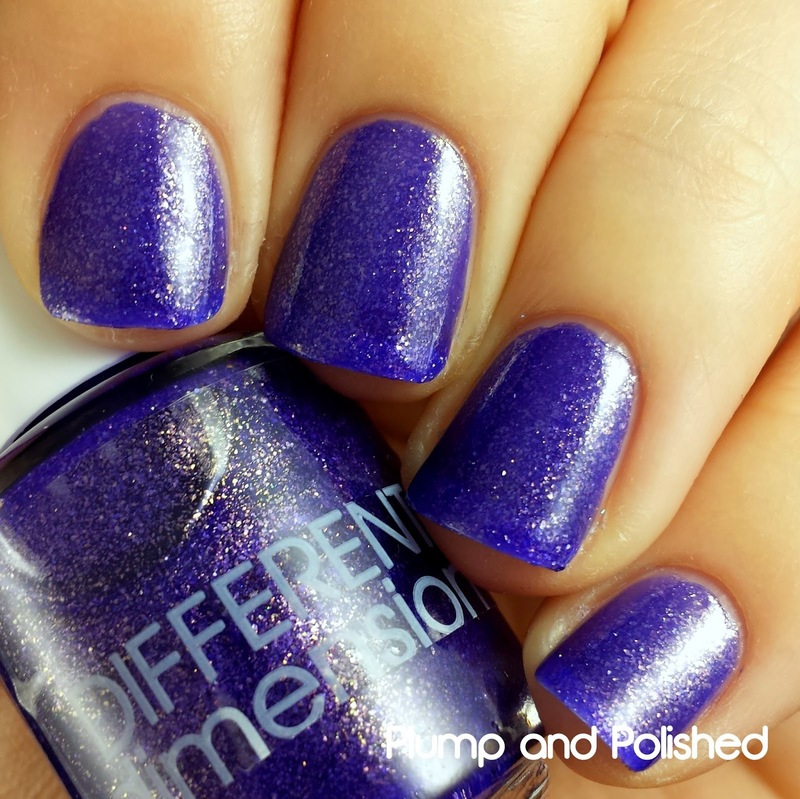 This polish applied like a dream. Two easy coats with some top coat and it's good to go. Holy moly! 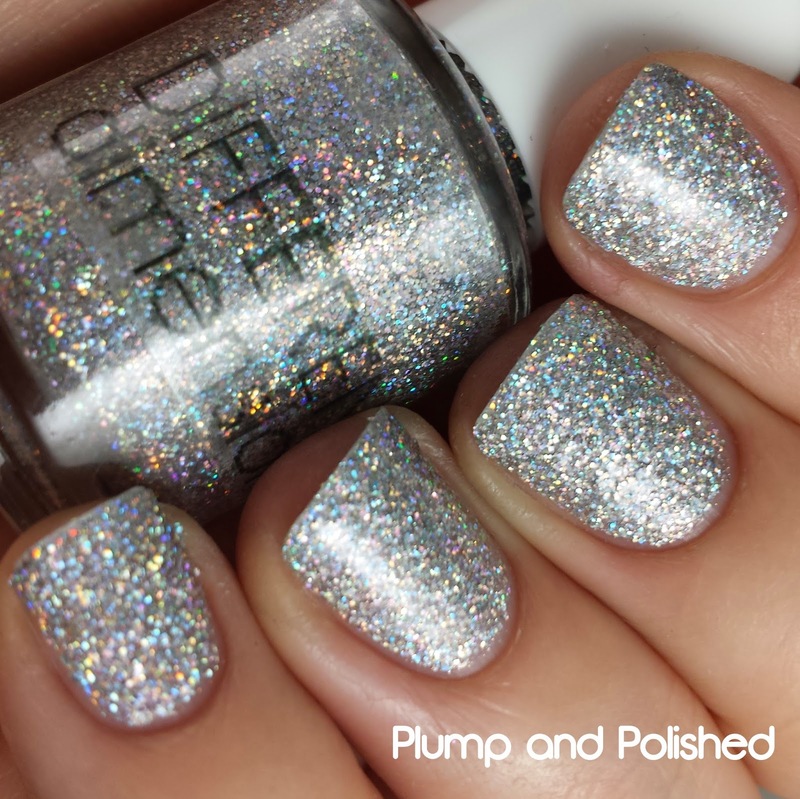 Look at that holo shine. Pretty great, huh? I have a feeling this might be one of the first to sell out during the release. 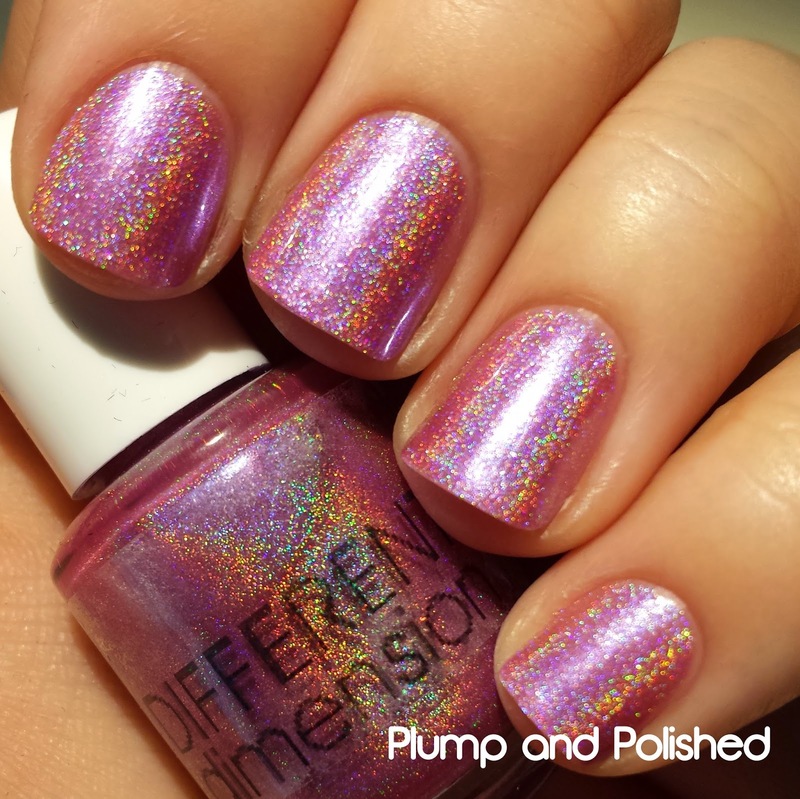 As with other DD holos, this applied well with two coats and a bit of top coat. 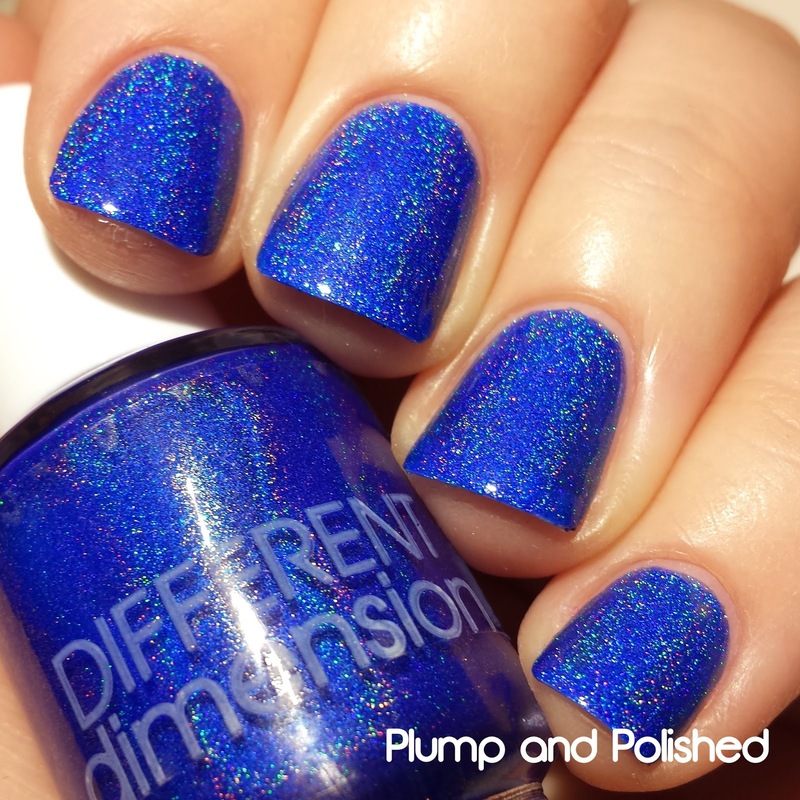 This is the *perfect* bright blue holo. The shimmer makes it that much better. Aptly named, right? This is beyond heaven. For a jelly, this built up nicely. The first coat was a bit sheer, but the second coat gave it great coverage. I used a bit of top coat to finish it off since it dried a bit matte. This is a gorgeous blue leaning purple. As you can see, it looks different in different light. 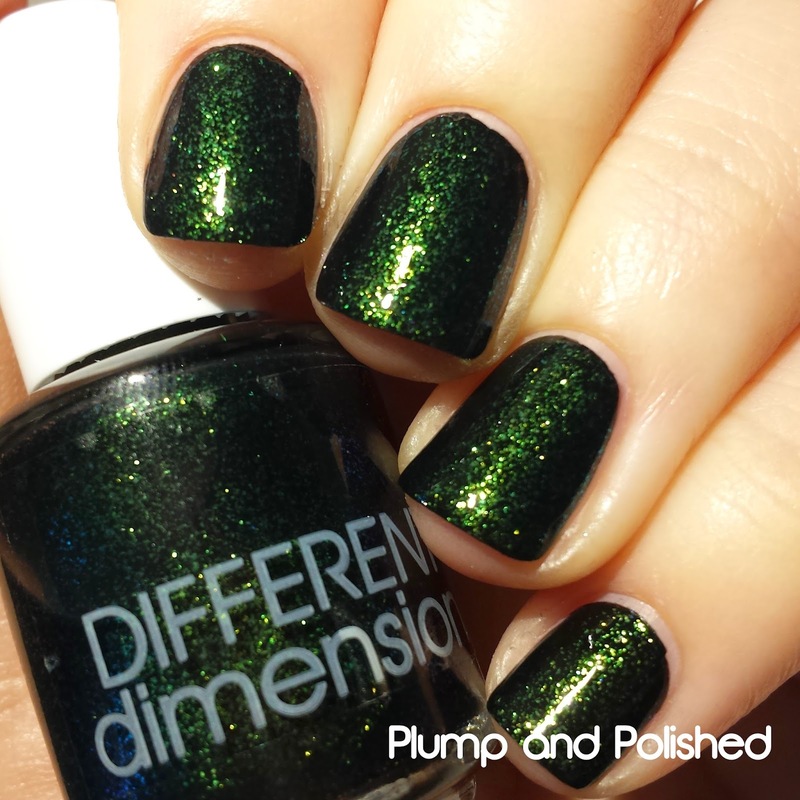 The flaky shimmer blends in, but stands out in the light. It shines gold and orange depending on the angle. This is so densely packed that I used just two coats for full opacity. This can be a little top coat hungry, but I found that one coat was good for me. If you prefer a smoother look, try a bit extra. More like Bling Bang! Or should it be Big Bling? Whatever it is, it's gorgeous! 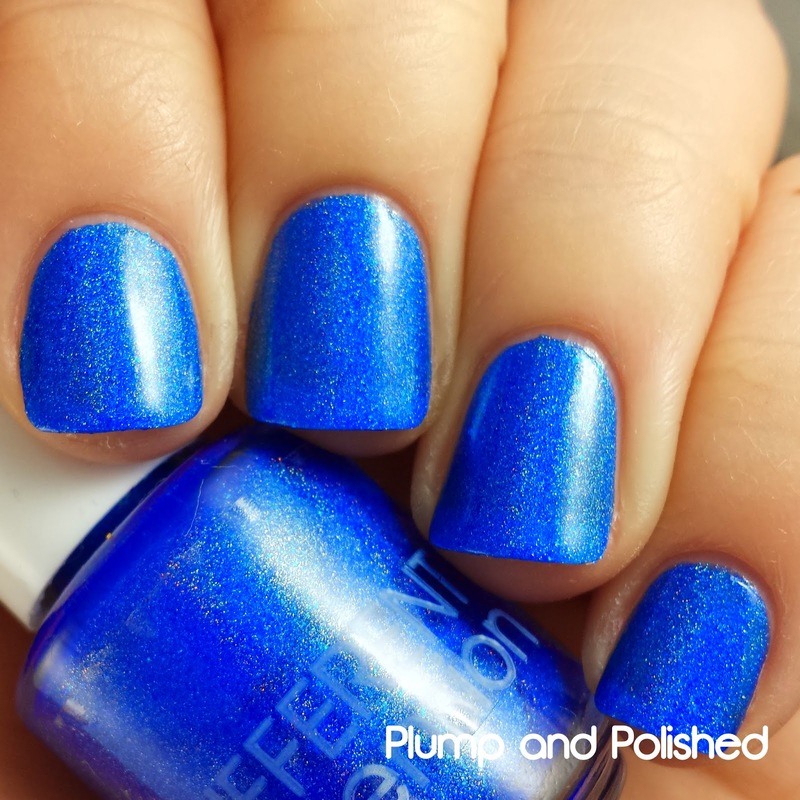 I could get lost in this polish. It's phenomenal. You could also use this as a glitter topper! The base one this is a bit sheer. You could use two or three coats alone, but I layered a coat over a black base instead. 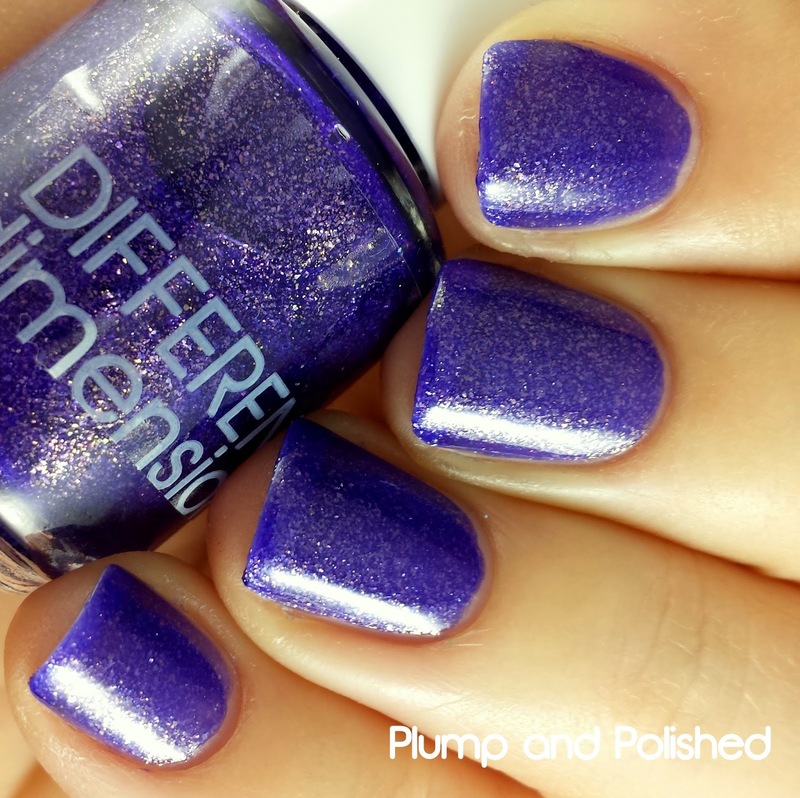 It applied smoothly and had a great glitter payoff. I finished it with top coat. For me, this shines mostly purple. I'm totally okay with that. The flakes give it a great warmth. If you don't like purple, chances are pretty good that I don't like you. Just kidding! Well, maybe. 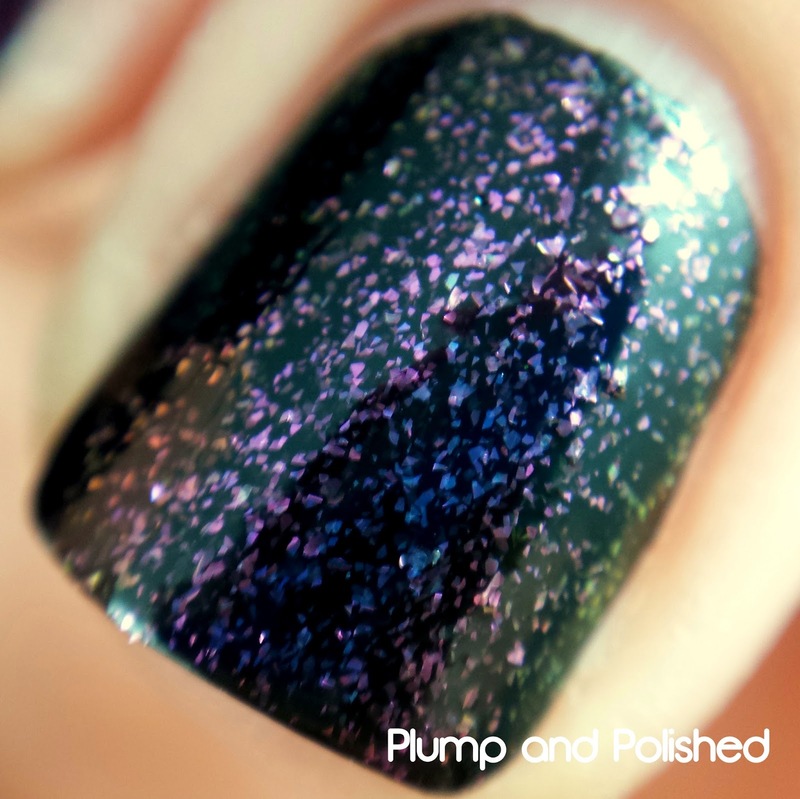 This polish was just like Black Hole. I used one coat over a black base, but you could use two or three coats alone. I finished it with a bit of top coat. Great green gobs! I love me some mean greens and this is no different. 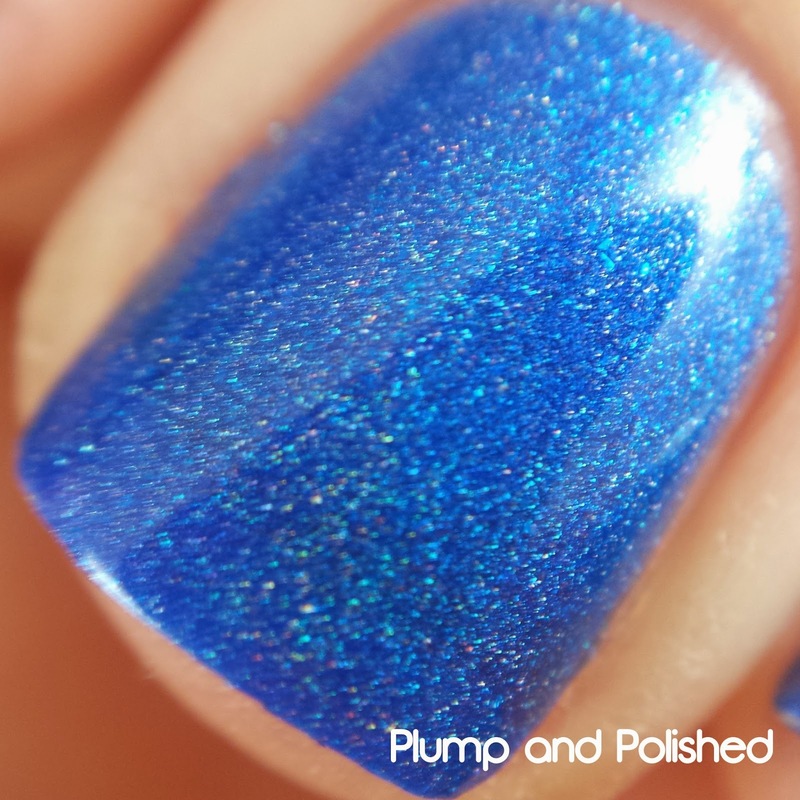 It has a great shimmer and warm. Are you in love yet? UNF! 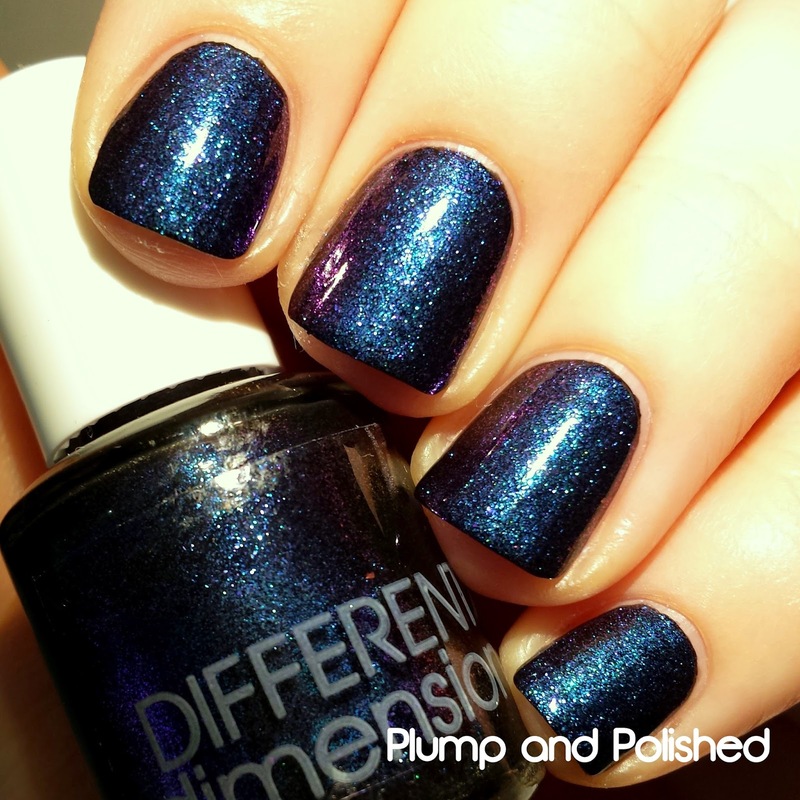 Just like the latter two polishes, this one needed just one coat over black for a great look. 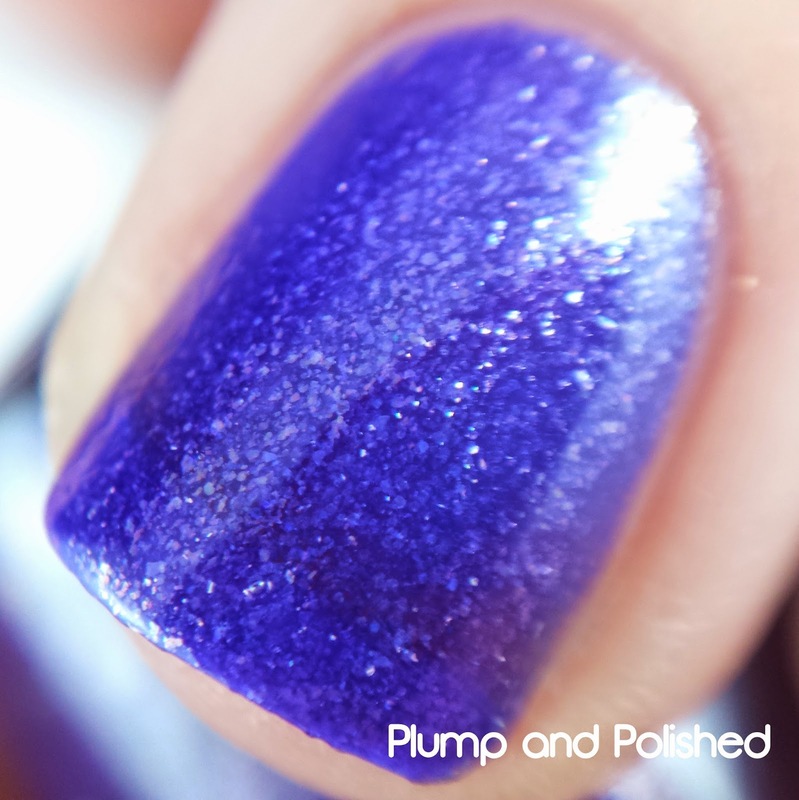 If you didn't want to layer it, you could use two or three coats alone. Top coat finished it off nicely. I had to save my favorite for last! This baby is gorgeous. I love it! I think it would look nice over a dark blue or purple, too! These flaky shimmers slay me. I can't get over how perfect they are. I'm thinking they would make for a killer gradient. Be on the look out for the second half of this collection! I should have it up in the next day or two. You can find it here! These are full size bottles and will vary in price from $8.75- $11 each per bottle plus shipping. 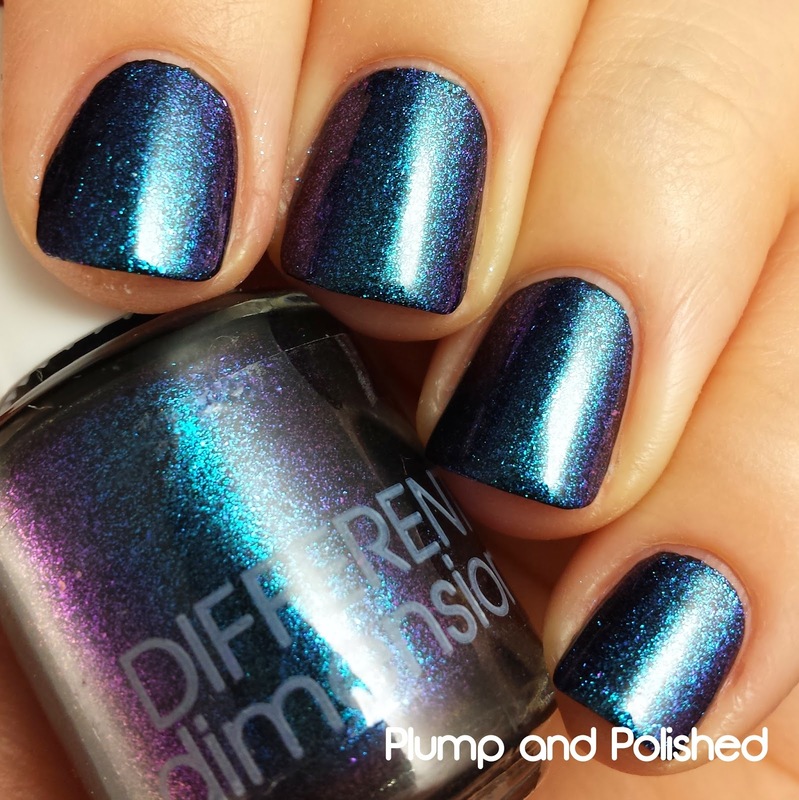 Missi makes some gorgeous polishes for sure! Lovely swatches! These are all amazing and so gorgeous! 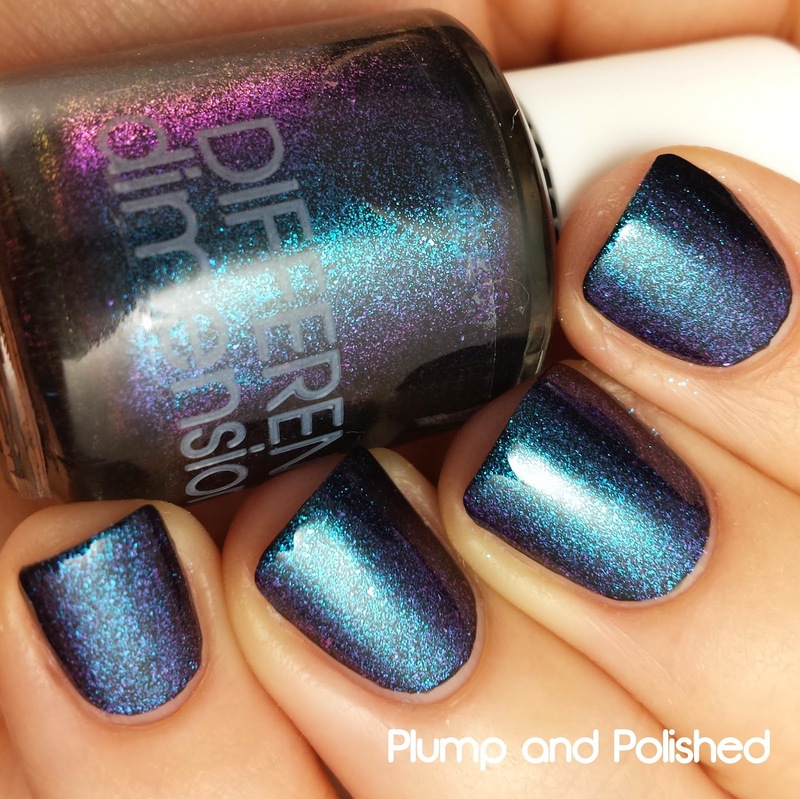 My favorites are definitely Ultraviolet, Heavenly Waters, and Big Bang. I see why you couldn't wait! 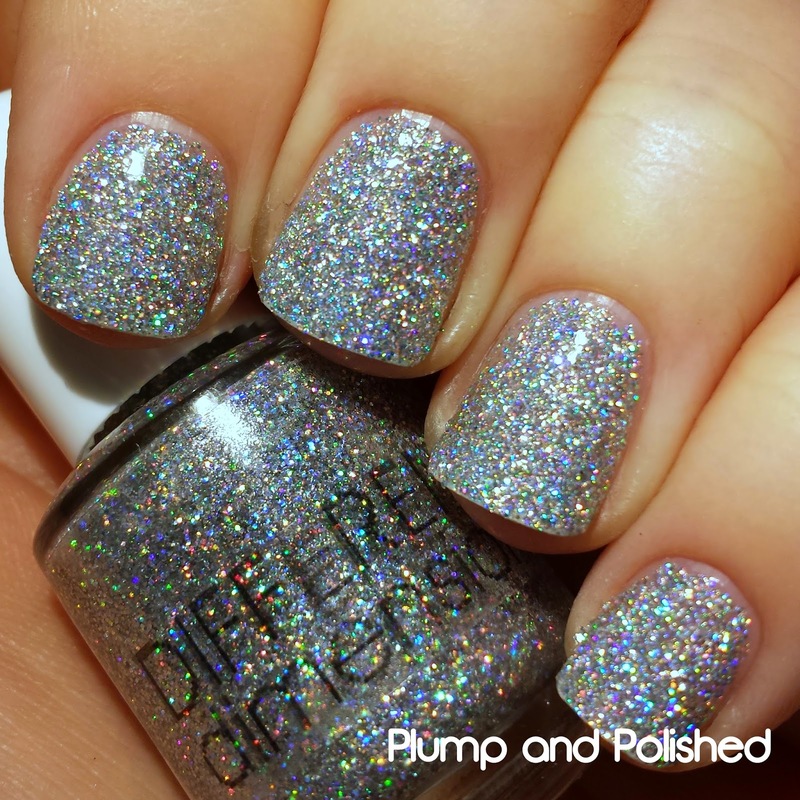 These are gorgeous :) Love her polishes! I need a second mortgage if there are 7 more in this collection!! Thank you, Miss Nidia! She's a mastermind. Yes! I'm glad I'm not the only one. That trio is perfect! Big Bang was so hard to capture because it's so twinkley. Oh, gosh. I know! They're something else. Oh my gosh, these are flipping gorgeous! Beautiful swatches Ashley! You're the best, Joy! Thank you! !